Quality styling grace this fantastic design. 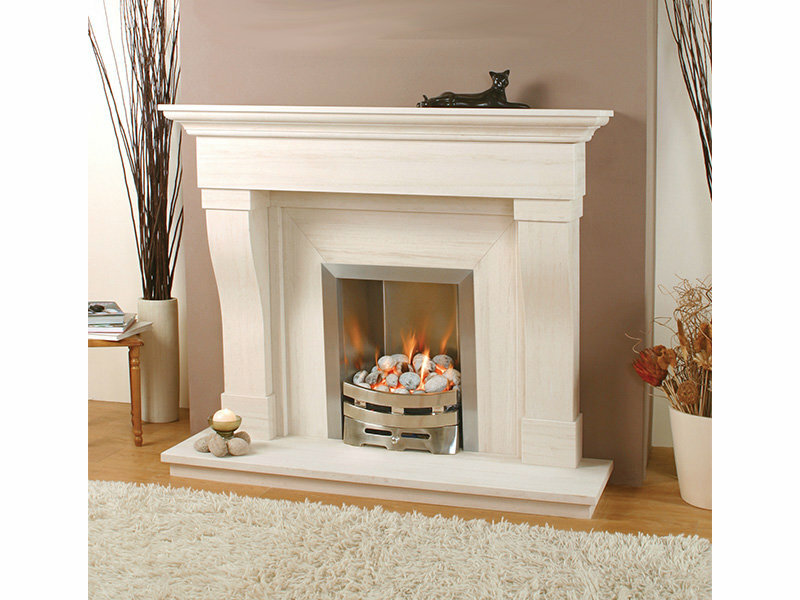 With solid stone carved corbels supporting the tiered header and shelf creates a stunning effect. Will take centre stage to most rooms.